Retirees in Mexico live active, healthy, lifestyles underpinned by Mexico’s agreeable climates, first-class amenities, and affordable living costs. In this guide, we explore some of the key considerations that you will need to reflect upon when you are planning a retirement in Mexico. This guide is best used in conjunction with complementary Mexperience guides about Living in Mexico, Working in Mexico and the Mexico Real Estate guide for your accommodation needs. The Mexperience Mexico Essentials guide also provides a wealth of background and practical information about being in Mexico. Americans and Canadians out-number Europeans who retire in Mexico by a significant amount. This is in good part to do with geography, as Americans and Canadians are more likely to be familiar with Mexico. People who retire to Mexico come from all walks of life. Many have had jobs in companies ranging from large corporations to small enterprises; or have run their own business, sold it and moved to retire in Mexico. The reasons people move to Mexico to retire are as many and varied as the people who make them. It’s a personal choice, and usually one made through having known Mexico before—either in passing, with later research trips, or having spent annual holidays in Mexico over several years. Some will have spent part of the working lives here. Knowing Mexico – or getting to know it – is significant: if you’re going to spend important years of your life in a country other than your own, it’s imperative that you get to know Mexico and experience it first hand. As a country, Mexico has an enormous amount to offer retirees. You have a choice of climates, ranging from spring-like weather all year-round to warm humid sea front locations, and the dry heat of desert. With a range of climate types and diverse topographies, Mexico provides choice and, as we explain in this article, it’s important to match climates you feel comfortable with and the places that offer them as you short-list places to live in Mexico. The infrastructure is good in developed areas, and the areas you are likely to choose from are as safe as any modern town or city in your home country (in fact, Mexico has extremely tight firearms and lethal knife laws—making it statistically safer than many cities in the USA, for example). Outside of Mexico City and away from the drug rings, violent crime is rare in Mexico. Mexico’s pace of life is ideal for retirement—you can relax, and still lead an active retirement. While stress levels depend on each individual, Mexico’s laid-back atmosphere, it’s agreeable climate, friendly people and welcoming culture provide an ideal environment for low-stress living. The food is wonderful. Fresh fruit and vegetables, meats and fish are available at the local markets, and you’ll get great value for your money. There is an enormous variety of tropical fruit, which is sweeter and juicier than the kind that is shipped to colder climates. Fresh, locally produced food is also less expensive in Mexico, although prices and quality vary throughout the year, depending on the season. The variety of vegetables is also immense, including local kinds such as nopales (cactus) and chayotes. Mexico is also the home of the avocado and is the world’s biggest producer of the fruit. Good healthcare is widely available. Mexico has good doctors, dentists, hospitals and other medical specialists. There are a range of insurance services available for you to buy to safeguard you and your dependents from the cost of private medical bills, including medical evacuation services. Your retirement income can go further in Mexico. Exactly how far will depend on your lifestyle expectations. A section below on this page deals with actual living costs, but the essential point to remember is that the basic foods and drink are considerably less expensive in Mexico than they are in Europe and most places in the USA and Canada. Eating out can be less expensive too, and extremely good value for money. Utility bills can be lower that you pay if you live in the US, Canada or western Europe, property taxes and maintenance costs are low, and you may be able to structure your finances so that your retirement income is very tax efficient for you. If your retirement income is generated in a ‘hard currency’ such as the US or Canadian dollar, the British pound or the Euro, you will find your earnings stretch further on the basics needed for everyday living. Our five-part blog series on Essential Skills for Expats in Mexico enables you to learn about key abilities you’ll need to help make your move here a success and avoid the pitfalls that some fall in to when they arrive in Mexico less mindful of the adjustments needed when intending to live in a foreign country. Whether you retire permanently in Mexico or live here say, only during the winter months, is up to you and your lifestyle choices. This choice is usually guided by people’s social and family ties back home. It takes, on average, between 18-26 hours of traveling to get to Mexico (door-to-door) from western Europe; between 4-8 hours from Mexico to the mid/southern continental States of the USA, and up to 12 hours to travel from Mexico to Canada. You may be able to own two houses and rent out whichever one you are not living in, thus providing an income and helping you to maintain both. Or you may rent in Mexico, using the proceeds of a house rented back home to pay for your rented stay in while you’re in Mexico. For some, retirement means breaking away completely and starting a new phase in their life. There are many foreigners who have made Mexico their permanent home and are living very happily there. In any event, modern communications have made staying in touch with friends and family easier than ever–at virtually no cost beyond the regular monthly fee for a telephone line. For those who know Mexico, retirement here can be part of a dream come true. Retirees in Mexico enjoy a great climate, great food, a rich culture, and warm, friendly, people. Some retirees move into local Mexican communities and integrate there; this can make the whole living experience in Mexico much more worthwhile and fulfilling. For those with hobbies, the hobby or interest can almost always be pursued in Mexico. Communications via the Internet can keep you up-to-date with the latest news and information and sports scores if you want to keep abreast of what’s happening back home. If you enjoy participating in sports, Mexico offers the climate, the groups and amenities for you to participate actively. Many people continue their passion for, or turn to, pastimes like art, photography and writing—using Mexico as their landscape and inspiration. Some find that their work can be sold inside or outside Mexico, supplementing their income. Other people get involved in social work: helping deprived communities to build new infrastructure, getting involved in charity work, sharing their extensive knowledge and experience of life with others and making a significant and positive contribution to the communities where they live in a wide variety of ways. There’s no better time to Learn Spanish. Surrounded by the language, engulfed in a country passionate about its history and culture, there is no better place to learn than in Mexico. Language classes are available everywhere. If you view your retirement as an opportunity to improve your golf game, Mexico has no less than three of the world’s top ten golf courses for you to try—and dozens more besides. You can retire in Mexico in total seclusion if you want to, buying a property in the middle of a stunning landscape, with nothing but nature around you for miles. Or you can live in the middle of one Mexico’s towns or cities surrounded by the local communities, sharing their culture and their way of life—or something in-between. Whatever you want, you’ll find something to suit your tastes somewhere in Mexico. Everything everywhere costs money and Mexico is no exception. How much you spend will depend on your living choices and lifestyle expectations. However, you’ll find that Mexico can offer good value in just about everything you’ll need to buy, from land and real estate, through to furniture and DIY materials, food and drink, and entertainment. Mexico offers excellent value for money for people who choose to retire here, which is a primary reason why it’s one of world’s top places for foreign retirees. Connect to our extensive guides to Money in Mexico and also the Mexico Cost of Living Guide for practical advice about money matters and prices you can expect to pay for living in Mexico. The income you need to live will ultimately depend upon your lifestyle expectations. Products, services, food and drink can be purchased to suit every budget and, like everywhere else in the world, you get what you pay for. Since the immigration reforms which came into effect in November 2012, the law now sets out specific financial requirements for people who wish to reside in Mexico. As part of this, the Mexican immigration authorities require that you demonstrate a proven income in order to obtain a retirement visa in Mexico. Thresholds vary depending whether you are permanently or temporarily resident in Mexico and require either a regular monthly income (between $2000 and $3000 US dollars or equivalent) or a fixed investment sum, e.g. a pension fund. The Mexico Immigration Guide gives fully updated information about criteria, income requirements for the current year, and application procedures. Mexperience publishes a Mexico Cost of Living Guide updated annually. The guide illustrates the costs across a comprehensive basket of goods and services in Mexico and helps you to compose a detailed budget based on your individual circumstances. In our guide to Money in Mexico you’ll find an online Currency Converter, or see the section further down this page which discusses your retirement finances. Also remember that currencies fluctuate and you may need to allow a few percentage points either way into any figures you’re working with, to allow for this. If you are around 50 years of age or older and can prove a fixed income for yourself and each dependent (e.g. spouse, dependent children who may live with you), getting a retirement permit to live in Mexico is a formality. Food & Drink: For Europeans, most of the food and drink you enjoy in Europe can be obtained in Mexico. Exceptions include specialty foods like Marmite and Coleman’s mustard, or Heinz Baked Beans, but you can get these shipped over with friends and family when they visit. European wines are widely available now, some at reasonable prices and others at premium prices; although you’ll also find an excellent selection of Latin American wines as well as Mexican wine from Baja California which is excellent. For Americans and Canadians, most foods you can buy in the US can now be obtained at major supermarkets or hypermarkets in Mexico. Specialist foods which are particular to a country (e.g. Parma Ham from Italy) will be available in major towns and cities, but at a higher price than what you may be used to paying for them at home. Inevitably, not all the foods you can buy back home will be available in Mexico, although you will find all of the ‘basics’ in plentiful supply in Mexico and you’ll discover ranges of new foods which you can’t get in your home country — and you’ll probably come to miss some of those when you’re living in Mexico and making visits back home. Radio and TV: All major US TV networks and other global channels (CNN, Fox, BBC World, Bloomberg, Disney, Discovery, etc) are available in Mexico via cable or satellite TV. Most cities have a local cable service provider offering different packages of channels; the Sky brand of satellite television is available universally in Mexico. DirecTV is no longer available. People with full-sized satellite dishes and sophisticated decoders may access even more channels. Internet Program Streaming: Netflix, plus a range of other similar services (like Amazon Prime) are readily available in Mexico. You can pay for your subscription using your foreign credit card, your Mexican credit card, or using vouchers you buy at local convenience stores enter the payment reference on the voucher to access the service. Newspapers and Magazines: Generally, European newspapers, with the exception of Spain’s El Pais, are not available in Mexico. Major European dailies such the FT and Le Monde can usually be found in major airports in Mexico. American editions of international magazines such as Time and Business Week can be bought in most main towns and cities in Mexico. Many European and American based magazines will deliver to Mexico by regular mail if you subscribe. Note, also that you can now access most journals online via the Internet, either free or via paid subscription. If you enjoy reading the paper version, you can still subscribe, although most expats get their news online these days. Sanborns department store is a good place to find and buy international magazine titles off-the-shelf. Tea: Coffee is far more common than tea in Mexico. Tea is generally drunk black (often with a slice of lemon) or alternative herbal infusions, like chamomile, lemon or mint. Many places in Mexico are situated at altitude, and in these areas, the water boils at a lower temperature than it does at sea level. Some say this affects the taste of tea and, therefore, coffee becomes an alternative. By the way, Mexico produces some very fine coffees: Chiapas, Oaxaca, and Veracruz are the three principal coffee-growing states in Mexico, so there’s no need to pay a premium for imported coffees. It’s important to know that, if you have a health care plan in the US or Canada, most policies do not cover your health care requirements in Mexico. Also, Mexico has no reciprocal health care agreements with other any other countries, so even if you have government-funded health-care in Europe or a health plan in Australia or Canada, for example, these will not cover you in Mexico, either. It’s essential to make arrangements for your health care when you retire in Mexico. Mexico offers excellent health care facilities, some in line with top US medical centers, but they are private and all medical care must be paid for at the point of delivery. There are several health insurance companies in Mexico who sell medical insurance plans. Some US and Canadian plans may offer coverage in Mexico in return for an additional top-up fee, but the conditions may be strict and the time frames limited: check with your insurance company for details. It’s more difficult and more expensive to get health coverages after the age of 65; this also applies in Mexico. Specialist insurance companies do exist which provide health care in Mexico, sometimes for lower premiums than you would pay for a private health care plan back home. It’s worth getting some quotes to compare as health care insurance is likely to be one of your higher retiree expenses in Mexico. Detailed Healthcare Information: For detailed information about health matters in Mexico, connect to our Mexico Healthcare section here on Mexperience. 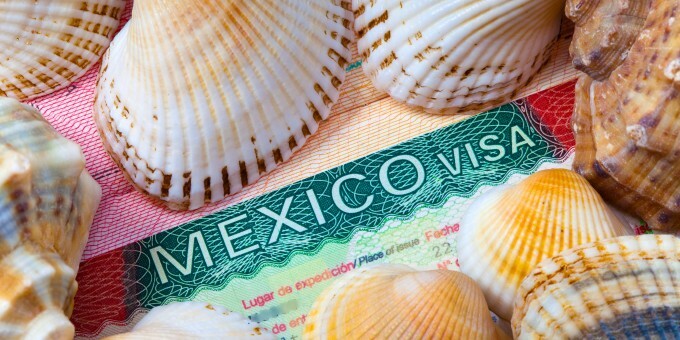 Some residency permits (see Immigration, below) allow you to work and take part in some lucrative or paid activities while you’re in Mexico, although you will need to pay Mexican tax on all your income derived from them, including any rental income you may receive from renting part or all of a house you may own in Mexico. Work that you sell (for example, photographs, writing or art) might be exempt from Mexican taxes if it is sold outside Mexico. Also see Taxation notes, below. Read the information on Immigration and Visas in the living and working section for further details about residency permits that allow lucrative work in Mexico. Whether you rent or buy your retirement home in Mexico will depend on your plans and aspirations with regard to retirement here, your attitude towards property as an investment, and the resources available to you. You may sell your home and buy a new home in Mexico, if you intend to move to Mexico for the long-term, or even permanently. If you are planning to live in Mexico for only part of each year, then you may decide to rent your house in your home country (if you own one) and use the proceeds to fund the rental of your house while in Mexico; or trade down to a smaller house back home and use the remaining proceeds to buy a second home in Mexico. If you do decide to buy property in Mexico, you may consider renting first to get a feel for the area(s) you’re thinking about moving into, before committing to a place or neighborhood—unless you already know the area you want to live in from previous visits/experience, in which case you might only rent for a short time, while you scout a property for purchase. Historically, most property deals in Mexico have been transacted in cash, although Real Estate Financing in Mexico is being made available today through various specialized finance houses. It may be easier and less expensive to finance your Mexican house from a bank in the USA, and some banks are now offering mortgages in the US for homes purchased in Mexico. European banks will not normally finance a house in Mexico as the market is unknown to them. You’ll need to consider insurance for your property in Mexico, too. Mexico is subject to hurricanes (if your property is near the sea) and earthquakes (whether you’re by the sea or inland) and it makes sense to protect your investment with an adequate insurance policy. 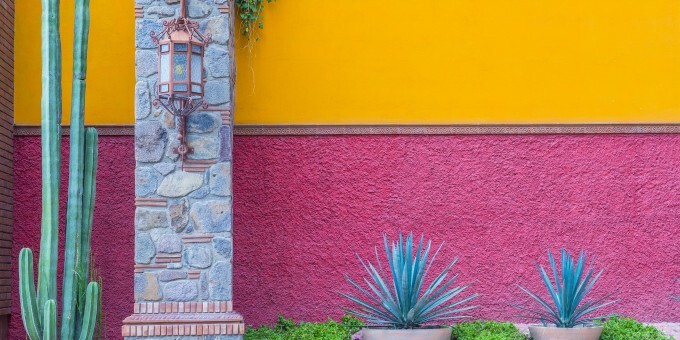 Connect to the Guide to Real Estate in Mexico here on Mexperience for the latest information and comprehensive advice about renting, buying, selling, insuring, and financing property in Mexico. Mexico’s banking system has improved enormously over the last decade and banks in Mexico are much more customer-focused now than ever before. A genuine choice of services is beginning to emerge through banks introducing innovate products in an ever-increasingly competitive market. Mexico has a selection of banks to choose from, and you will need to open an account locally, for day-to-day management of your finances. You will need a resident permit (temporary or permanent) in order to open a local bank account in Mexico. Most foreign retirees in Mexico keep a bank account active back home, too, especially if they have have social, family, investment or business connections there. Charges and interest rates on borrowing are still higher than you may be used to at home and the conditions for keeping an account open may be stricter than you expect. In years past, all banking in Mexico had to be done at the local branch, which made waiting lines at banks longer. However, Internet banking is now widely available in Mexico, making it possible to bank online, pay bills, and transfer money to others easily and without the need to line up at the bank. The procedure for opening an online account can be bureaucratic but it’s worth it, as it will save hours of time each year not lining up at banks to transact your business. Notwithstanding the advent of internet banking, a lot of Mexicans continue to bank in person, and this means that lines at the local bank (and especially local ATMs)—on pay weeks (“quincenas)*—can be enormous as literally millions of people across the country line up to withdraw cash, cash checks, and pay credit cards and other bills. Try to avoid banks during quincenas if you can. You should seek professional financial advice for all matters regarding finance management and taxation if you are considering a retirement in Mexico. See Also: Read the Guide to Banks, Banking and Credit in Mexico, part of our Living and Working guides on Mexperience for extensive information financial services here. *The Spanish word Quincenas, literally meaning “fifteens”, translates well into the English word “fortnight”. You will need to contact the tax authorities in your home country and ask them what the current tax policy is on, for example, pension and investment income earned in your home country and paid while you are resident overseas. In some cases, you may need to watch out for double-taxation; that is, your income being taxed in your home country (or the country where the income is generated) as well as in Mexico where you are living in retirement. Mexico now has tax ‘Double Taxation Agreements’ with many countries (including the USA, Canada, the UK, Ireland, and some other European countries); in these cases, you will normally get to choose which country you wish to be taxed in and will only be taxed on your income once. Because of the complex and changing nature of taxation and the fact that everyone’s situation will have unique characteristics, it’s essential that you plan for tax efficiency when you retire to Mexico. As a first step, you could contact your local tax authorities in the country where you reside and ask for information and advice which they should give you free of charge. Thereafter, some fees spent on professional tax planning advice, from a qualified financial adviser or accountancy firm will pay dividends in the long term. Moving to a foreign country can in some cases provide some useful opportunities to maximize your earning’s tax efficiency. However, because the laws change every year, it’s essential to consult a professional who is dedicated to reading the latest information and news and who understands not just Mexico’s tax system, but the tax system where you reside and, if different, the one where your income(s) is(are) generated. Mexico’s tax system, like most countries, is involved and complex. You will almost certainly need the help of a local accountant to help you file your return (there are plenty to choose from and the fees are reasonable), unless you are good with Spanish and have the inclination to engage with the necessary bureaucratic procedures and paperwork. Although advice and information is available online, it’s best to seek professional help. Also see the Useful Contacts page. If you hold substantial assets, it’s essential that you get proper advice and plan carefully in relation to your tax position before you make the decision to retire in Mexico and you should consult your accountant, qualified financial adviser or other tax specialist in this respect. 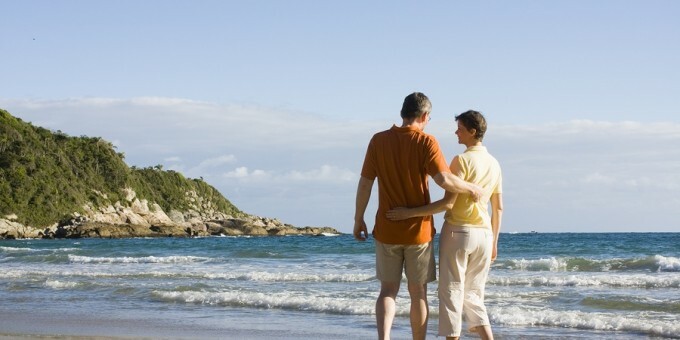 If you plan to retire in Mexico, you should make time to consider and plan for Estate. It would be a pity for your spouse (or heirs) to discover that your foreign Will is invalid because you’re resident in Mexico, or that any assets you hold in Mexico (e.g. property, investments) are subject to punitive taxation due to lack of some straightforward planning and preparation. Read our guide to Estate Planning in Mexico to find out what you need to know to protect your assets and ensure your loved ones are not left dealing with complex legal matters in an attempt to defend your estate when you die.